A finish for this week. 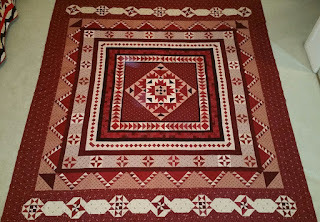 Prairie Gathering is complete and will be placed in the quilting que. This beauty is large, measuring 88x100, and was almost too large to get it all in the picture. 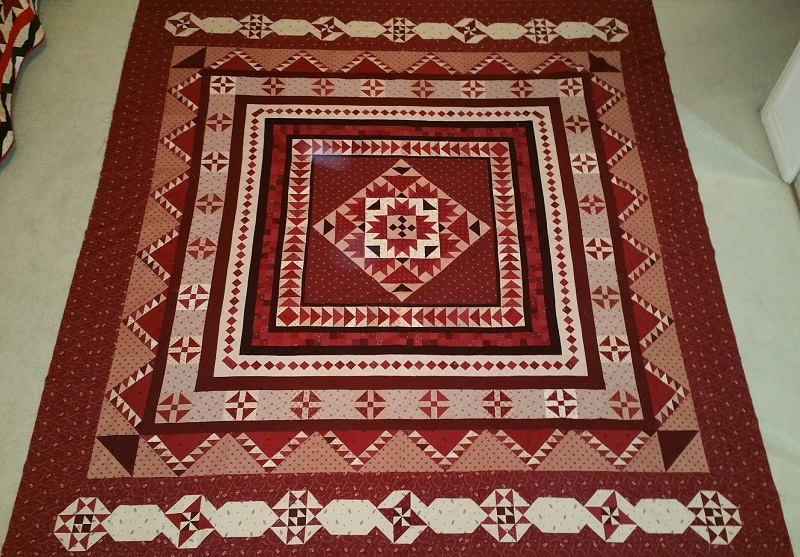 I am very happy with the way it turned out and will be looking forward to getting it quilted. Prairie Gathering by Pam Buda. New Stash report numbers below. Look for more reports at Patchwork Times. Net Fabric Used YTD: 55.0 yards. Have a great week and check back tomorrow to see what is on my Design wall this week. What a beautiful quilt. Congrats on getting it finished.